Get ready for CCC, one of fall’s biggest preseason tournaments. It will be held this weekend at the University of Georgia’s intramural fields alongside the men’s division. A big thanks to Dawgma and Jojah for hosting this southern classic. Teams are traveling far and wide to come to this preseason tourney. The average length of travel for out-of-state teams is 413 miles, with Texas traveling the furthest, a 990 mile trek, and Clemson traveling the shortest, a mere 75 miles. 5 of the 16 teams competed at the 2012 College Championships: Michigan, UNC, Texas, Florida, and Virginia. Easily enough, they are the top 5 seeds at the tournament based on their finish. Georgia and UNCW both lost in the game to go to the College Championships, suggesting they have what it takes to be a highly competitive team. High levels of SOTG will be in attendance: Florida won the tiebreaker over Virginia for the highest spirit scores at the 2012 CCs, both averaging scores of 4.67. Good-bye Hurricane Sandy. 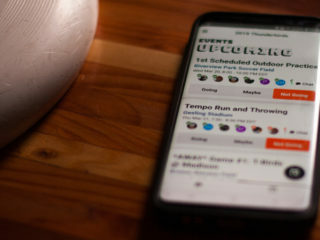 Weather.com promises sunny skies with a high of 72 and minimal wind. Bring warm gear for the chilly (low of 42, 51) mornings. With Michigan shaking off a semifinals loss in extremely windy conditions against Oregon at the College Championships, you can bet that this team is eager to show off their skills without wind as a factor. They had 6 seniors graduate last season, including Callahan winner Paula Seville. Travel distance and low numbers may play a factor in this weekend’s performance for Flywheel, as they had to drive a hefty 740 miles for CCC. This pool should play out to according to seed, with the biggest upset chance happening in the 3 vs. 4 matchup. Emory has played Alabama once this season in a small-time tournament, and Alabama won by a large margin over Emory in semis. Michigan’s great fundamentals and experience against UCF’s athleticism will prove to be an exciting first half, but I expect Michigan to pull away for the easy win. None of these teams played each other at Regionals last season even though Georgia and FSU are in the Southeast region, and UNC and USC are in the Atlantic Coast region. The unfamiliarity should be welcome from all teams and can make for interesting runs within each game. The top 3 seeds in this pool all have the ability to win the pool, depending on their strategies and rookie playing-time each team utilizes. UNC Pleiades will win the pool, hungry after losing in the finals against UNCW last weekend at Wolfpack. The 2 vs. 3 game is an important one for Georgia and FSU, for it will determine who gets the easier route to the semifinals. I predict the Seminole ladies will win this first matchup of the season, using their large roster, tall cutters, and all-star handler Megan Reeves, but don’t assume that this means Dawgma is out of the running. They have a thirst for winning, as they went undefeated in the early preseason Itchfest tournament in Nashville–stand-out players Lane Seidor and Emily Lloyd of Ozone will be there ready to win. 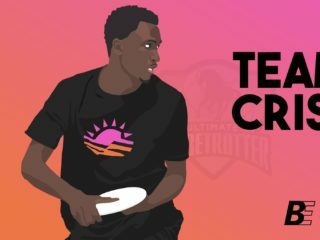 After an impressive 5th place finish at College Championships and playing in a local warm-up event last weekend, Texas Melee is sure to come out with discs slinging. They will have to beat UNCW on Saturday though, in order to win the pool. Seaweed went 7-0 last weekend at Wolfpack, beating UNC in the finals. This 1 vs. 2 game will be a fun game to watch in the third round. I predict that UNCW will take the pool, followed by Texas, Clemson, and Georgia State. Florida and Virginia did not play each other at the 2012 CCs, however they both ended up in the 13th place bracket. With both teams graduating crucial team members, it’s hard to say who will win this pool. After playing in a tournament last weekend and losing to American University in a windy finals game, I believe UVA Hydra will come into this tournament more prepared and win the pool. 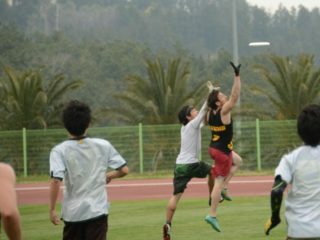 Look out for Alika Johnston, a rookie this past club season on DC Scandal, to make big plays on both sides of the disc. The 1 vs. 2 game should be entertaining to watch because of Fuel’s fiery defense and both teams’ experience in high level situations. Georgia Tech Wreck will be looking to upset USF. Both teams ended up finishing in the lower half of the Southeast Regionals but did not get a chance to play each other. After some tough pre-quarters decisions, I have Michigan vs. FSU, Virginia vs. Texas, UNC vs. Central Florida, and UNCW vs. Florida, with the first team in each matchup having the bye into quarters. All of the quarters games I predicted are across regions and should give an idea of the strength of each region going into the spring season. The semifinals games will be Michigan vs. Texas and Central Florida vs. UNCW. The Michigan vs. Texas game should prove to be grueling, but Flywheel will pull out the win and play UNCW in the finals. Because both teams will have a challenging road to the finals, the game will be close. Michigan will win CCC, 15-11 over UNCW, using their dominant, younger players with Nationals experience. F is for fun, fall tournaments! Have the Best Style: Georgia State! Last seen sporting handmade, neon-colored spray painted, white V-necks, Vixen is gonna show up with lots of swag, hotlanta-style. Most Spirit: After losing the tiebreaker to Florida at College Championships, UVA Hydra is gonna pull out their best SOTG faces and then some. Most Athletic Plays: Watch out ladies! Florida Fuel is known for their big playmakers, and whether or not you know their names, look out for big Ds and fancy hucks-for-scores from the lovely ladies of Gainesville.